Hey my fellow plastic addicts. It’s time for another Top 10 list. Over on the Facebook page, I asked what you want to see me make a list of, the Riders of the last poll or the new contender with 2-pack as you can see below, it was really close with Rider sets winning at the early stages but were eventually beat out by the 2-packs. So with that I have painstakingly picked out 10 2-packs that I want to see made. This was extremely hard to do as there are many characters that I want as a 2-pack. However, Hasbro does something with their 2-packs that made it a lot easier. You see when Hasbro announce a comic 2-pack, they seem to base the figures on a certain story arc or famous cover. For example, the Dark Phoenix set, Kraven’s Last Hunt, Ultimate Spider-man (VS Vulture), Wolverine’s First Appearance in Hulk, Colossus VS Juggernaut, Secret Empire etc. Each of these were based on a story arc that the figures represent. So for this list I not only picked out 10 story arcs and 2 important character for that arc. As always I have made some rules for myself. I will be including some figure that already got released or needs a remake. Alot of 2-packs are basically one re-release and one new figure. This is my list. Not Yours. MCU and Gamerverse set are not included in this list. They are a list all on their own. This will be only 6″ figures so no vehicles or Giant-size figure. THIS IS MY FECKING LIST. GET IT? GOT IT? GOOD. Before we begin, I would like to say even though this is a Top 10 list, these are not really in a proper order as it was hard to pick only 10. Starting off this list we have the Contest of Champions. The comic book version not the video game version. After the successful of the game, Marvel released a comic based on the game. While the game has many characters, the comic used Maestro as the main character and villain. As such I think, Maestro should get made with the 80th Hulk figure as the base. Joining him we have the first original character from the game that has made the jump to comic, Guillotine. She is a French hero with a demon sword. Originally help Maestro (thus the reason she should be in this set) only to join the heroes and even went to the main universe to join a European team. She could use the Angela build. Keeping the Hulk theme going with have what many consider Hulk’s most famous storyline Planet Hulk. 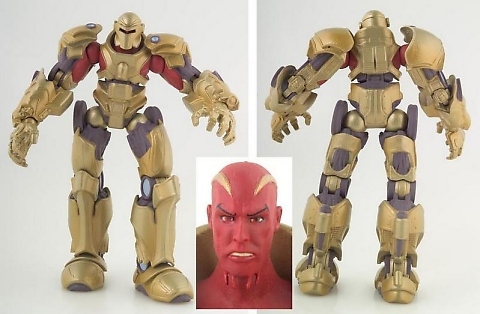 Most know the story so for this I think we should have the Gladiator Hulk based on the 80th anniversary set with the same accessories as he has had before but with a new arm and legs. Joining him we have the main villain of the story Red King. Hasbro was planning on releasing him before (see here) but had to cut him for one reason or another. I would like for him to release that version. Next up we have Wolverine: Enemy of the State, where we see Wolverine being killed by the Hand’s Gorgon. He was resurrected by the Hand and made to serve them against the heroes. For this we should get Wolverine in his Astonishing Costume (Obviously on the Wolverine build). He should come with Gorgon which could use MCU’s Baron Mordo figure as a base in his colors. Next up we have one of Iron Man’s greatest stories, the Armor Wars. In this storyline, Tony discovered that his armor designs were stolen and given to criminals. He then went about attacking many armored heroes and villains who he believed stole his tech. While I did think of including the armor that was introduced in this story arc (the Neo Classic armor), I thought it would be great to do the armor he wore most of the time during that arc, the Silver Centurion armor. Of course this will be a redone version of the 80th Iron Man with new parts. While I wanted to include Firepower or Stingray in this 2-pack, I thought with would be great to include the character that essentially started the Armor War, Spymaster. This will use the Spider-UK build with a new head. Taken the 6th place we have Heroes for Hire. 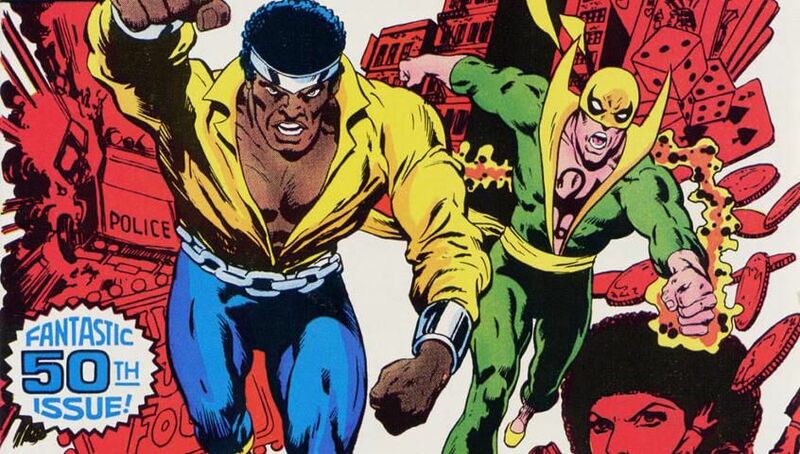 The original team of Iron Fist and Luke Cage. While both had success in their own comics, both weren’t making enough money to continue. So Marvel combine the two. Thus, Heroes for Hire was created. This obvious will be a classic set with Luke Cage using the Netflix figure with new parts and the Iron Fist basically being the Dr. Strange wave figure with an added Collar. Okay this one is a bit morbid but taking the 5th place we have the Death of Gwen Stacy. 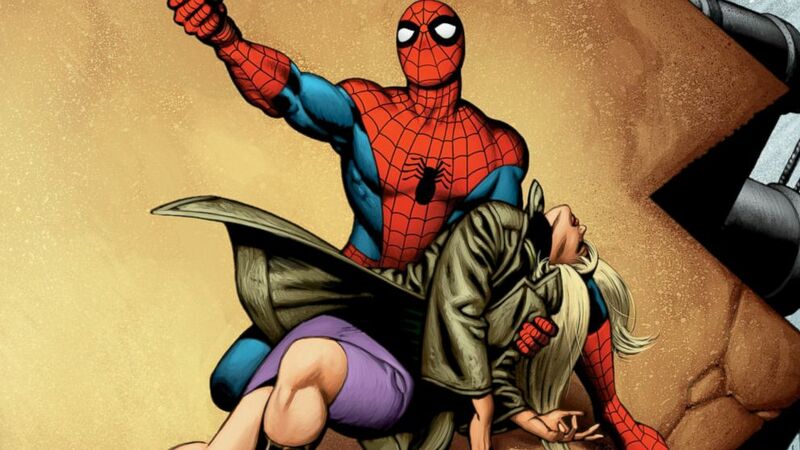 I don’t think many would deny that one of Spider-man’s most important event was the death of his first love Gwen Stacy. Not only did it change the character but it also changed the way comics were done at the time. No one was safe after her death. You may remember how a fake image of a suppose 2-pack was released online making us think that we were getting this set. The Spider-man was the Spider-uk build in classic colors and the Gwen Stacy was the MJ figure with a skirt and jacket. Yeah just take that idea Hasbro. God were being killed. Thor went to investigate only to find that they have been killed by Gorr, an alien with a grudge against the Gods. This lead to one of the best Thor storyline to date with not only present Thor but also a Thor from the past and future fighting Gorr. We already have all 3 Thors but we have yet to get Gorr. As such, we should get a redone 80th Thor in this version with a Gorr figure that could use one of the bigger builds with a new cape and MCU Hela’s sword. Taking third place with have the cosmic messiah and his assassin lover. 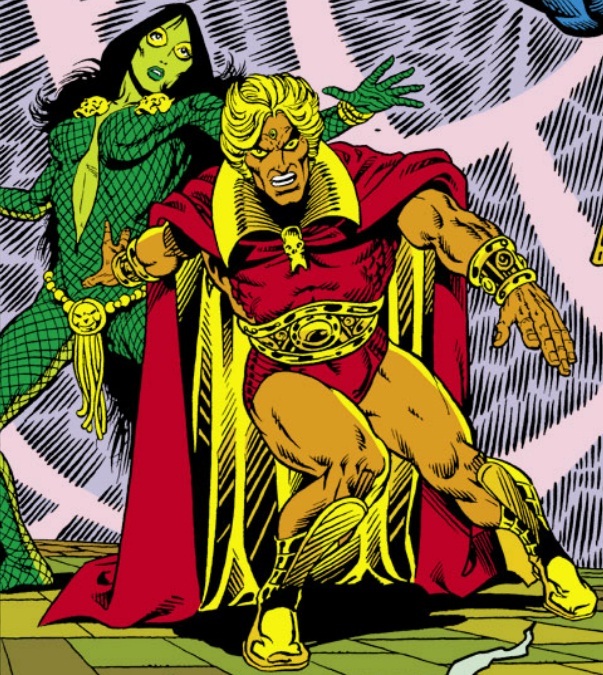 With Adam Warlock coming the third GOTG movie, Hasbro now has a good excuse to give us some Infinity Watch characters. As such, it should be obvious that they should do a classic Adam (basically a repaint of the previous) and a Gamora figure (repaint of the box set figure). Taking second place we have the first ever comic book major crossover epic, Marvel Super Heroes Secret Wars. In that storyline, the Beyonder lured both heroes and villains to take part in a war to see which would prevail. As such, I think it would be an epic 2-pack for the Beyonder to get a figure. Not only that but his main foe, Molecule man should also be in this set but I won’t mind them slotting in another character in there as along as we get one of the 2. Taking the top spot we have Avengers: Under Siege, which saw Baron Zemo’s Masters of Evil taking over the Avengers Mansion and defeating some of their members, including Hercules. For this set, like I said in the Ideal Cap wave, we should get a lighter colored 80th anniversary Cap with a Baron Zemo in his classic costume. Well that is my list of what 2-packs I would like for see in Marvel Legends. What’s yours? Let me know in the comments below or on one of the social media sites.